Politics Agbaje Spits FIRE, Ready To Drag PDP To Court If They Continue Doing This ……. 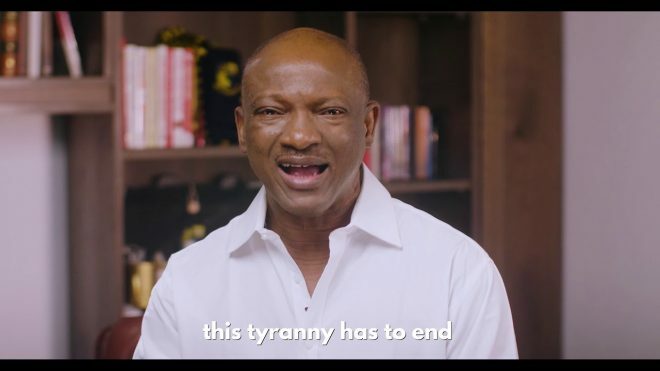 Agbaje Spits FIRE, Ready To Drag PDP To Court If They Continue Doing This ……. The Chairman of the Peoples Democratic Party (PDP) in Lagos State, Dr. Adegbola Dominic, has accused its governorship candidate in the just-concluded general elections, Jimi Agbaje, of allegedly hijacking funds meant for the prosecution of the elections in the state. The state chairman of the party, also accused Agbaje of flagrant disregard for party rules and its leadership, including the apex leader of the party, Chief Olabode George. However, in his reaction, Jimi Agbaje, who admitted that he received the funds, said he had no reason to render any account of how the funds were disbursed to the party because the party did not give him the money, in the first place. 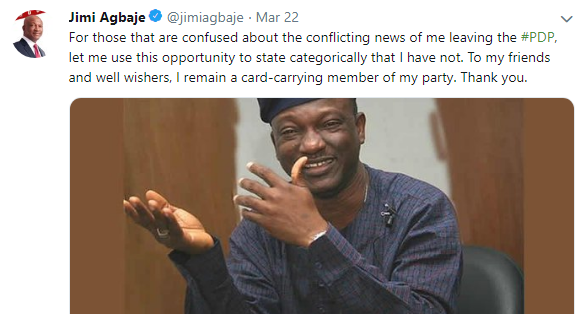 Recall that the news of Jimi Agbaje decamping from the PDP was reported in some sections of the media, but the guber candidate has come out to openly deny the allegation.